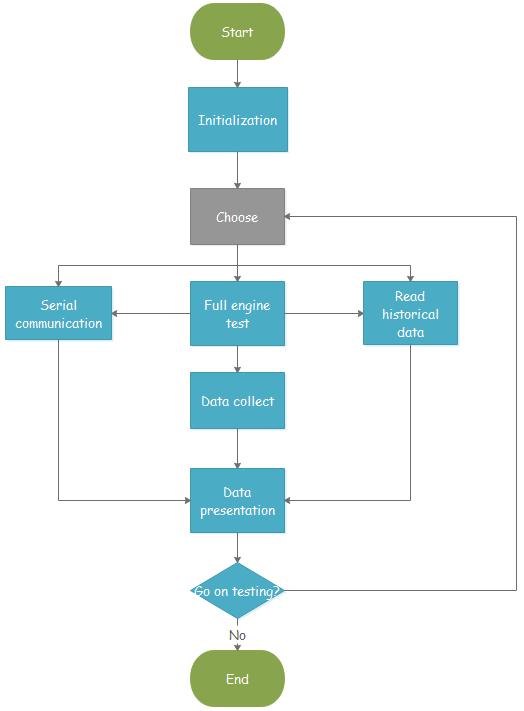 Choosing a professional programming flowchart maker does a great favor for programmers in many aspects. 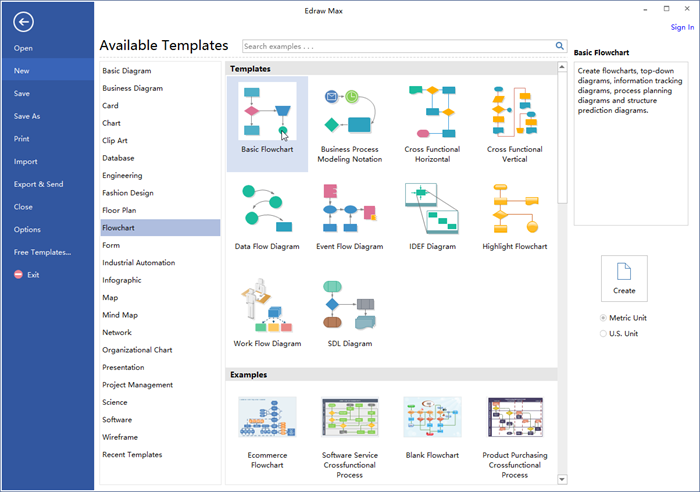 If you are looking for a professional flowchart maker for programming, you will have a hard time finding a better option than Edraw Flowchart Creator. Following are reasons why Edraw Flowchart Creator is the ideal software to create programming flowchart. 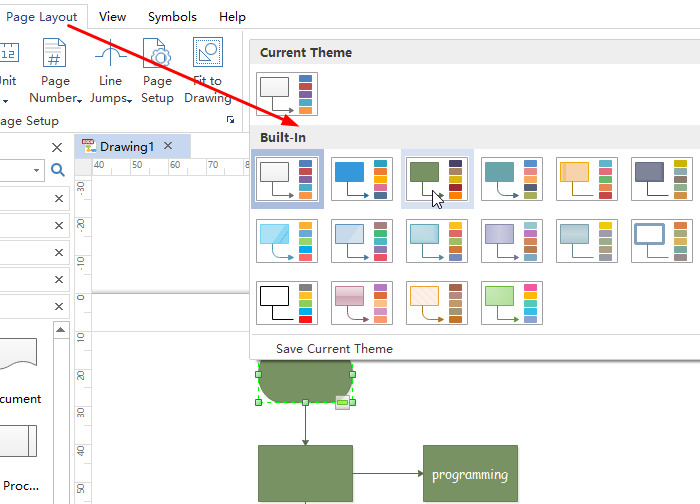 Similar interface to Microsoft helps you get started effortlessly and it has over 12000 pre-made flowchart symbols for dragging and dropping, no drawing skills required. 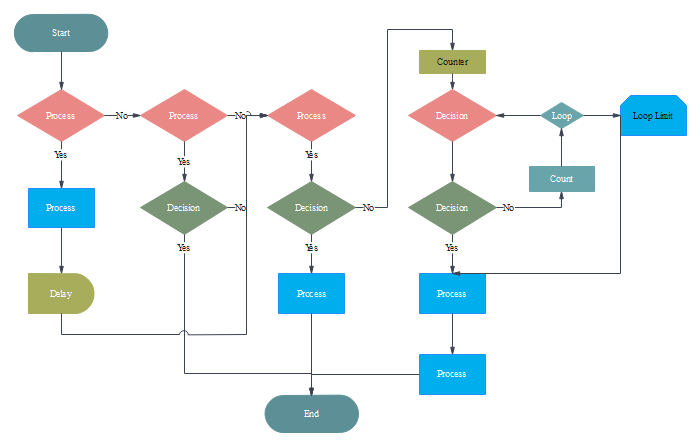 Hundreds of professionally designed flowchart templates and examples enable you to draw a attractive programming flowchart with just a few clicks. Simply choose the template that you want, and edit it to fit your needs. Automatic formatting of it lets users align and space shapes automatically, with no need to align them one by one. 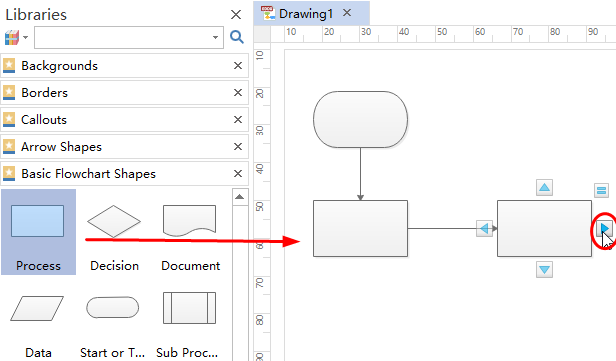 Open a blank flowchart drawing page. Go to File menu > New > Flowchart, and then double click the icon of Flowchart in templates window. Add flowchart symbols and contents. To add symbols: Drag the symbols from the libraries or click the floating button. To add contents: Double click the symbols and type the information. Just click the floating button or choose Connector in the Home page. Click Page Layout and choose the theme from built-in themes. Simply navigate to File tab > Save as, then browse your computer and choose a location to save your flowchart. Below is a programming flowchart example for you. Here are someflowchart examples for programming drawn by Edraw Flowchart Creator for your reference. Most of them are taken from the daily life, which make them more understandable. 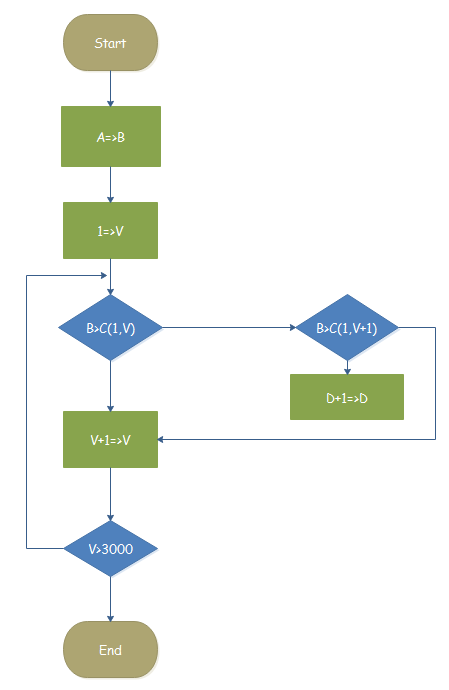 For more interest, click programming flowchart examples to view more.